4.5 stars“Your path will change. Your destiny doesn’t”Parallel is a book which has been receiving the most conflicting reviews from my friends, with a few not finishing it, some two star ratings and a few four star ratings. Books with mixed rating are ones which often intrigue me the most. I also tend to have a weird track record with these books, with my last couple of one’s ending up as memorable reads. 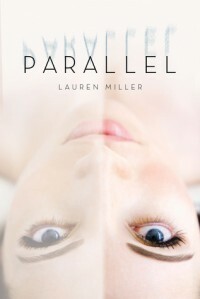 Also I’ve noticed that parallel worlds seems to be the new trend in YA, this is another concept I’ve been hugely intrigued by especially when it’s done well and the book leaves you all frazzled.Parallel was a book which ticked off a lot of boxes for me, despite the initial slow start, I’m not the most patient reader. But I’m glad I stuck out the sluggish start, as I was just left mind blown afterwards. Miller took a really unique concept and really flipped it on its head. 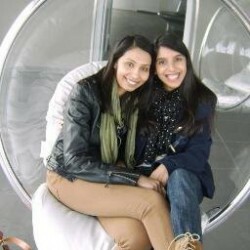 Due to a cosmic entanglement, the world Abby lived in ends up colliding with a parallel world. The Parallel world is set a year and a day behind the current world, with the parallel self creating new memories for the current self and erasing all the memories the current self may have created. The only person that could remember this had happened was Abby. This concept is a lot to take in but Abby was lucky that her best friend had been studying under one of the professors, who established and believed this theory in the first place. Caitlin was a great best friend despite things not being great in the past year due to Abby in the parallel world. Caitlin was the friend Abby needed the most in the most confusing situation ever. Abby in the parallel world was causing a ruckus, with things being completely blown off course and endless dreams and happily ever afters being destroyed. Because of this I was quick to side with our current Abby. She found herself in a mess with no control over what could happen. I truly hoped that she could get back to things the way they used to be. But as the story progressed I began to hugely appreciate parallel Abby and her world. Miller did a great job in toying with my feelings, there were so many end results possible through the course of the book, and I was up for nearly all of them.I immensely enjoyed how just one little decision could change Abby’s current world in an instance. It truly had me thinking about all the decisions I had made in the past and if I had decided something else would things have ended completely different? Parallel was such a thought evoking story, never have I found myself so caught up in the two worlds at the same time. Abby’s world was everything to me for the five days that I read this book, I hated all the normal day activities that I had to do such as going to work because it cut in to my crucial reading time. Another thing which made Parallel stand out for me as a brilliant read was its characters; I seriously loved them all even when parallel Abby screwed things over. Even with a potential love triangle between two brothers which I usually hate couldn’t ruin this story for me because I found myself totally invested and totally torn with who I wanted Abby to be with. Both guys were really different to one another and definitely brought the swoon factor in their own respective ways. With all the chaotic things happening I really looked forward to these sweet and tender moments especially with Josh who was just a dreamy. Okay I’m totally digressing; this is what these guys do to me. As you can tell from my mini-novella of a review I absolutely loved Parallel, Miller in my eyes has written one of the best debuts of this year. It had crazy twists and turns which were totally unexpected, it had some truly heartbreaking scenes, moments which had me frightened that everything would be screwed over in Abby’s world and some really dreamy scenes. If this year you are on the lookout for a brilliant debut which truly takes the concept of Parallel worlds up a whole another notch I highly recommended Parallel, you seriously won’t regret giving the wonderful story a go.